While the United States may contain a relatively small amount of termite species, it cannot be said that the US is free of the most destructive termite species. It is generally agreed that the most destructive termite species in existence is the Formosan subterranean termite, as these termites live within the most populous colonies and are able to thrive within subtropical to temperate environments. The Asian subterranean termite is similar to the Formosan variety when it comes to destructive habits, which is why many experts make mention of this species when discussing termite destruction. But unlike the Formosan species, Asian subterranean termites are more limited to tropical environments, making their progression north of Florida’s southern region unlikely. When it comes to drywood termite species, the west Indian drywood termite may be the most destructive of all, and unfortunately for residents of Hawaii, all three of the above named species have been causing destruction to homes and buildings within the state for over a century. Before the 1990s, termites were already costing residents of Hawaii 100 million dollars per year in control costs and damage repairs. Unlike all other US states, the state of Hawaii is subject to a year round tropical climate and constant hurricane and oceanic storm threats, making the region ideal for the rapid spread and proliferation of just about any species of termite. It is for this reason that Hawaii is unofficially considered to be the invasive insect capital of the world. 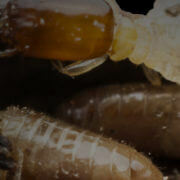 At the moment, only eight termite species have been documented as existing within Hawaii, seven of which are invasive. The one native Hawaiian termite, Neotermes connexus is an arboreal forest termite, and is not generally recognized as being a pest to structures. The Formosan subterranean termite was first documented as existing in Hawaii back in 1913, but it had likely existed in the state decades before the turn of the century. The Asian subterranean termite was first discovered in the state in 1963, and it is currently considered the third most destructive termite species in the state. The west Indian drywood termite was documented in the state back in 1883, and this species is recognized as the second most economically costly termite pest species in Hawaii. The state is also home to invasive termite species that originated from North America’s west coast. One of these species, Zootermopsis angusticollis, which can be found in mountainous regions of Maui, is considered a significant structural pest. 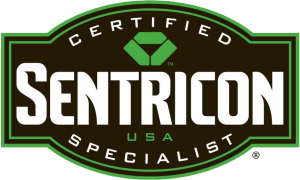 Due to year round termite-swarming, densely grouped homes and buildings, and many other factors, the risk of termite infestations and the damage they cause is well known to all of Hawaii’s residents, and the state is considered a world leader in developing next generation homes that are designed to repel and withstand termite attacks. Do you find it surprising to learn that Hawaii contains only one single native termite species?